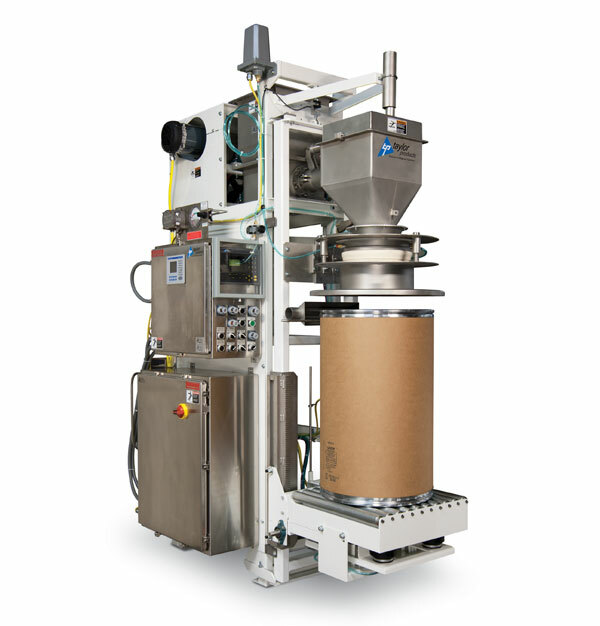 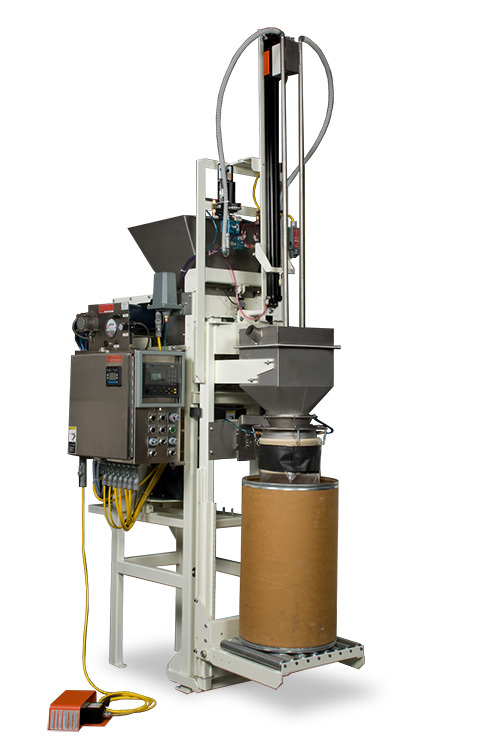 Magnum Systems model APO for drum and box filling is designed to handle powder products that are aerated, bind, cake or bridge easily. 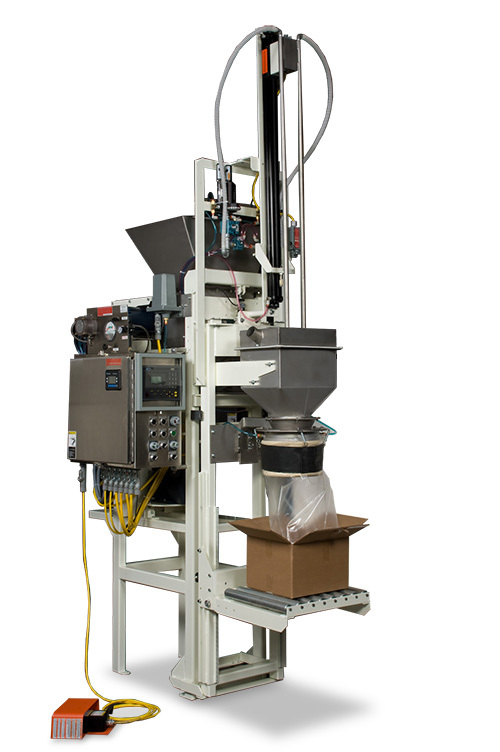 The variable speed auger option utilizes bulk and dribble technology and ensures a fast and accurate weight measurement while the inflatable spout creates a dust tight seal on bags while filling. 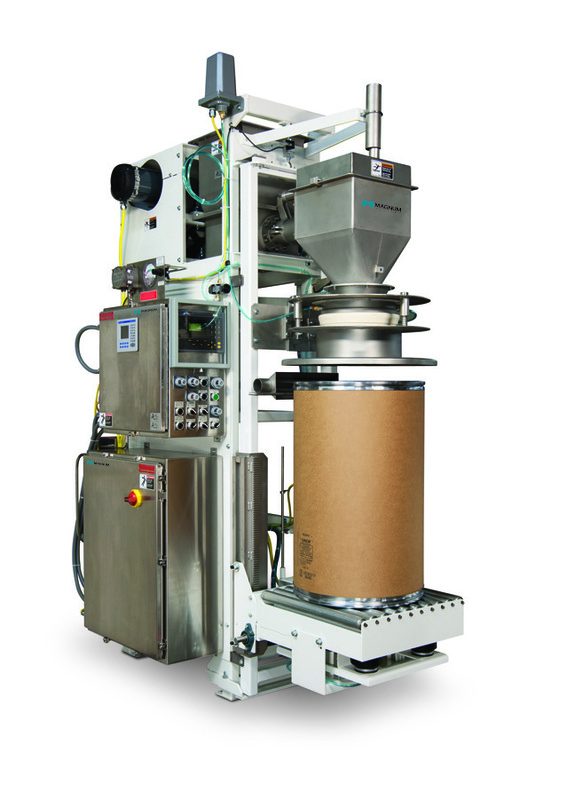 The APO features a Lift platform with rollers to handle various sized containers.